Booking.com account with properties set up (at this time, Booking.com cannot import property information and photos from Kigo). All your properties must be introduced beforehand both into your Booking.com account and into your Kigo account. Please inform your Booking.com account manager that you wish to use Kigo Channel manager for your properties. Upon commercial approval by Booking.com account manager, you will receive the Hotel-XML-Agreement and guidance to complete the activation. Meanwhile, please fill-in the BDC_KIGO_LINK.xls document and send us a new ticket with this document attached. Once the activation is completed, Booking.com will contact the Kigo support team on your part and will inform you once the setup is finished. The setup may take several hours, and during that time your properties might not be available for booking on Booking.com. 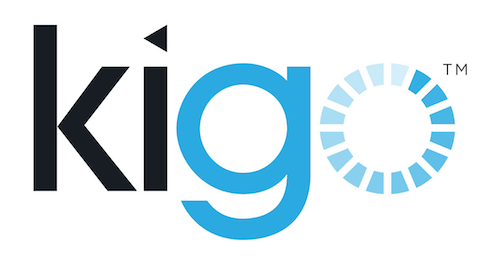 Also, please note that once you have switched to the Kigo Channel manager for your properties, you will no longer be able to update Rates, Availability and Restrictions through the Booking.com extranet. Rates & Availability will still be visible on the Booking.com extranet for monitoring purposes. Your property availability and prices will be automatically pushed to Booking.com by Kigo. Kigo will automatically import new reservations made by guests on the Booking.com website. However, according to the Booking.com's Hotel-XML-Agreement, it is your responsibility to always keep track of the Booking.com Extranet to monitor the status of each booking generated on-line. Kigo will inform you of reservation changes and cancelations on the Booking.com website, but will not take any action automatically. You must consult your Booking.com extranet for more details, and then you must make a manual adjustment to the reservation in Kigo. You are doing great job, thanks! We are starting up the synchronizing for some of our rooms in Aarhus Hostel but not all. Because we are a hostel we have more rooms of the same kind (that could be the 9 single rooms) that are shown as one room type on booking.com. 1) Will it give us some problems that we only synchronize some of the rooms? 2) When do you expect to finish the facility making it possible to have more “properties” grouped on booking.com? In Kigo each room is a property with an unique ID handle. You may select the rooms you wish to synchronize. We are currently working on a new feature making it possible to have several rooms under one property. Estimated implementation and testing period set Primo 2014. Hi: quick question. Where do I find Booking.com room ID? Hi there! We have an account with Booking.com. Our rates aren't pulling through for some properties. Their site won't allow us to manually adjust and the rates they have listed are old. They were updated on Kigo last week. They blame Kigo. Is there a delay in having new rates pull through or is it just an attempt by Booking.com to pass the buck? I suggest you create a ticket (top of page, green button) and state which properties you have issues with. Great if you can inform both Kigo Property ID as well as the Booking.com ID. We will then contact Booking.com to clarify where the synchronization issue is located. Hi, how i can modify or adjust prices for a property ads in booking.com since we can't anymore in booking.com extranet. the general rate in kigo property page it is not enough.